Bringing the skin-transforming goodness of Liquid Gold to your skin in mask form, this advanced at-home ‘mini peel’ clears and refines pores, reinvigorates collagen production and draws moisture to the surface of the skin. Ideal for ageing, sun damaged or pigmented skin and for enlarged pores, this formula stars CHAs (Combination Hydroxy Acids) to speed up natural cell renewal and enhance radiance, alongside a nourishing base of shea butter, squalane and hyaluronic acid to deliver intense hydration. 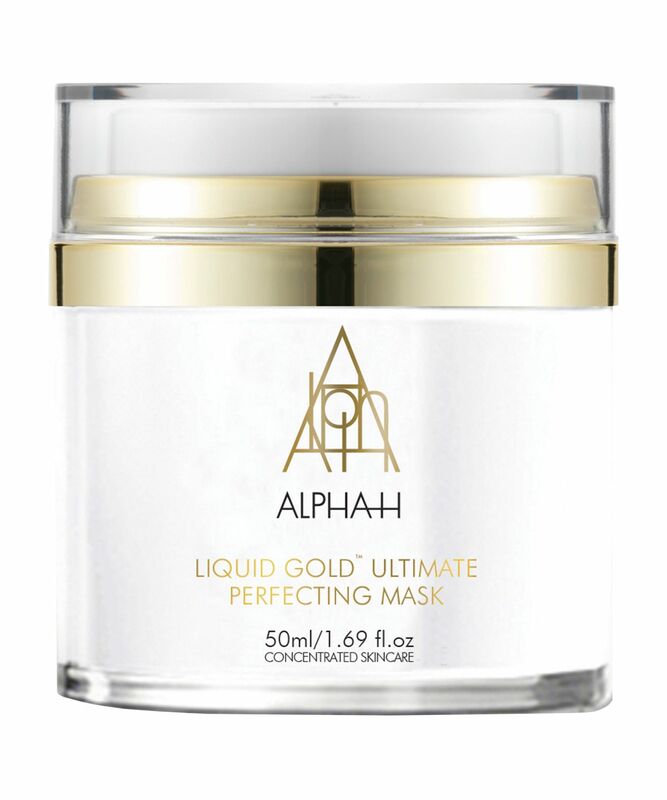 Alpha-H’s iconic Liquid Gold is adored by countless devoted fans – and this super-charged mask edition delivers the same results in just 10 minutes. 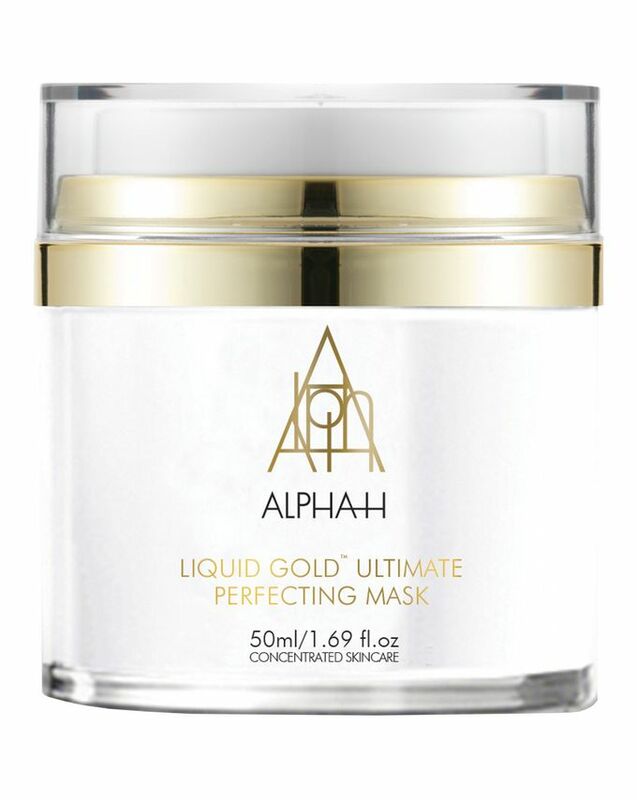 Ideal for skin struggling with signs of ageing, sun damage, pigmentation or enlarged pores (or all of the above) Alpha-H’s Liquid Gold Ultimate Perfecting Mask brings all the golden goodness of the brand’s iconic Liquid Gold in supercharged mask form. Weekly applications of this mask lifts away tired, dead, stained and unhealthy cells, clears away sebum and pollutants from pores, invigorates collagen production, and moisturises the skin, leaving you with a firmer, visibly more even complexion and more youthful cell turnover. 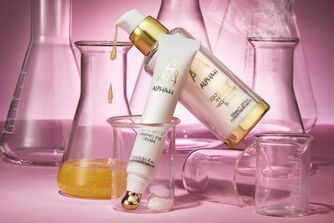 The starring ingredient is a skin-regenerating 20% Combination Hydroxy Acid (CHA) blend – glycolic acid speeds up skin’s natural cell renewal process, enhancing luminosity and clarity while also stimulating collagen products, boosting hydration and softening pigmentation. Lactic acid further promotes the elimination of dead, dulling surface skin cells and, together with ferulic acid, aids in reducing hyperpigmentation of the skin, evening out your skin tone. This powerful blend is backed up with a nourishing base of shea butter, squalane, fision hydrate and hyaluronic acid to deliver immediate and intense long-term hydration, working to restore skin’s barrier function. Alongside this, Tasmanian pepper fruit extract minimises inflammation and redness while a luscious cocktail of mango seed butter, grape seed oil, pro vitamin B5, jojoba seed oil and aloe vera leave skin nourished, soothed, brightened and moisturised. After thoroughly cleansing the skin, apply weekly to the face, neck and décolletage. Leave on the skin for a maximum of 10 minutes and remove with a warm damp face cloth.